No matter what size the church, no matter what size the budget – we can help your church to integrate an excellent and effective web site into your communications strategy. 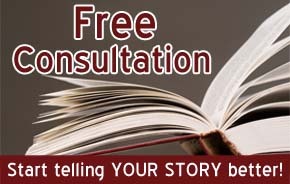 We will want to have an initial (free to you) consultation to hear your ministry story and to assess your ministry needs before we proceed. We will customize the services and pricing to your specific ministry. We can do something to accommodate any budget! Search Engine Optimization Matters: – alot! You can have the prettiest website but if no-one can find it…it is useless. We will work hard to make sure you’ll be found! Mobile: your site must accessible on a mobile phone or tablet. Our sites are “responsive” which means they automatically adjust to the screen size of the device being used. This makes your content accessible anywhere! Advanced Search Engine Optimization package – our goal is to get your site listed on the first page of results for your key search strings. SEO is not guaranteed but we will do our best to get you the best results possible – we will discuss during the consultation. Your church will receive customized SEO updates for 3-months following the launch of the new website. Premium, fully customized web site structure and design – built to your ministry needs and specifications. Whatever you can dream -we can integrate into this package! That is the question everyone wants the answer to. Because each project is customized to the needs of the church and I am very careful to work towards good stewardship within your budget constraints, I really need to talk to you to determine what you need. No two projects are the same. That said, the minimum typically starts at the $700.00 + expenses mark. The average site is around $1200 – $1400. I typically advise a church to budget between $1000 – $1500 and then we can easily work within those parameters. Larger churches (over 500 attendees) of course have greater needs and should budget over $2000. Please contact me to discuss your specific ministry. I promise to be fair and transparent in the quoting process. we offer several deeply discounted web site hosting packages specifically geared to the needs of churches.